Eaton junior Shay Perry tips the ball during the Eagles volleyball match on Monday, Sept. 24 at Kettering Fairmont. Eaton beat the Firebirds in four sets 25-27, 25-15, 26-24, 25-22. EATON – Eaton’s volleyball team racked up three move victories last week, including a pair over Division I teams. With the wins, the Eagles improved to 13-3 overall and 6-3 in the Southwestern Buckeye League’s Southwestern Division. Eaton opened the week with a 25-27, 25-15, 26-24, 25-22 win at Kettering Fairmont on Monday, Sept. 24. Junior Shay Perry lead the offensive attack with 15 kills. Seniors Courtney Giffen and Ava Miller collected eight and seven kills respectively. While sophomore Kylee Pitsinger added six kills. 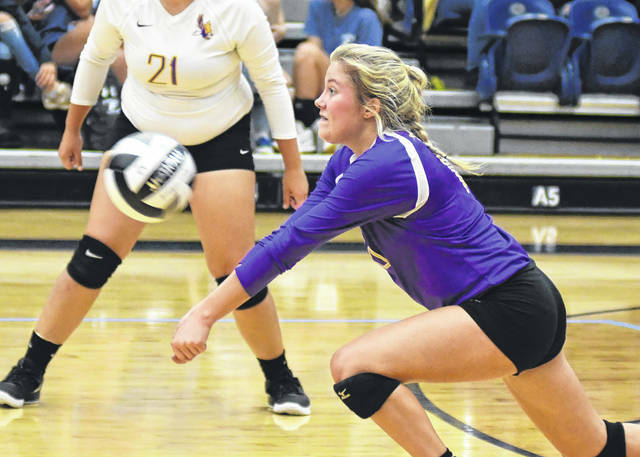 Senior Maley Tinstman had 28 assists, 10 digs and three aces. Sophomore Libby Giffen added five aces and 10 digs. Senior Annika Gels chipped in with a trio of aces and 14 digs. On Tuesday, the Eagles took down Valley View in straight sets 25-16, 25-20, 25-20. “Good team win versus Valley View. It’s always nice to get a sweep of a team that took a set from you the first time around. 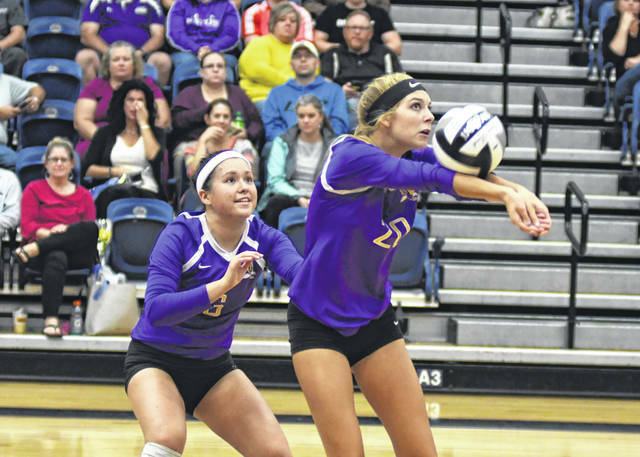 Also a good opportunity to get everyone in during a league match,” Eaton coach Parker Fields said. Miller lead the team with 10 kills. Perry had eight kills and two blocks from her middle hitter position. Pitsinger chipped in with six and senior Becca Mowen contributed five kills and a pair of blocks. Tinstman had 22 assists and four aces and Gels added 14 digs. Eaton closed out the week with a 25-20, 25-17, 25-10 win over visiting Talawanda on Saturday. Miller lead the way on offense with nine kills. Pitsinger added seven. 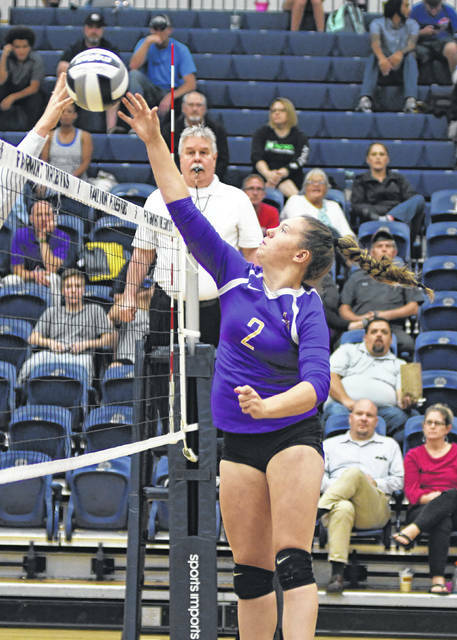 Perry had six and Mowen and Libby Giffen contributed five each kills. Sophomore Kayleigh Michael added three aces. Tinstman had 26 assists and 10 digs and Gels contributed 14 digs. Eaton was scheduled to host Tri-County North on Monday, Oct. 1 and travel to Brookville on Tuesday. The Eagles are set to close out the week by hosting Oakwood on Thursday.